This 40 S&W cartridge by Magtech sports a 180 grain projectile, the original bullet weight for its caliber and currently the heaviest of the most common factory loads. 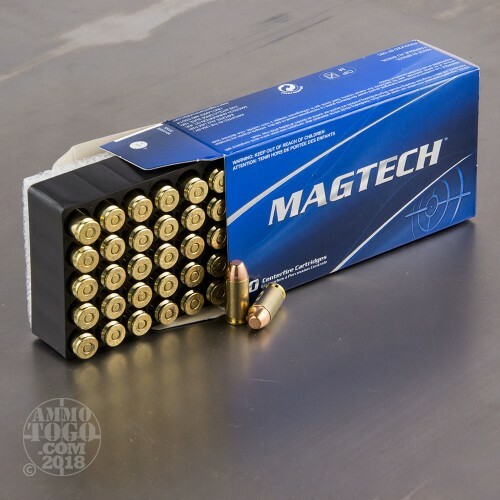 The bullet dons a full metal jacket to ensure that your pistol’s accuracy won’t quickly go south during a training or target shooting session. 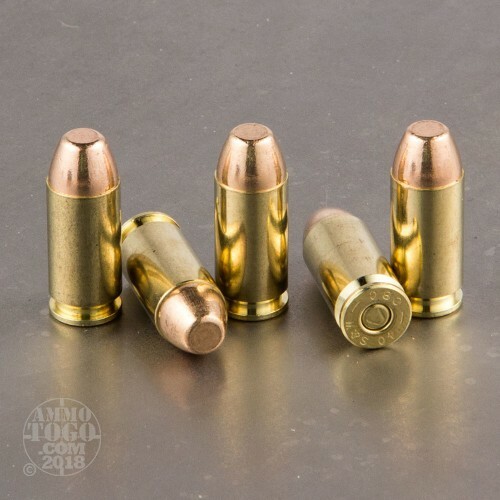 This bullet’s flat nose profile particularly suits it for shooting paper targets, as it will cleanly perforate them for easy scoring and more rewarding feedback on your performance. You needn’t worry about decreased aerodynamics -- this round’s 990 fps muzzle velocity will more than compensate for that! This is a high quality but nonetheless cost-effective round to train with in your everyday carry. 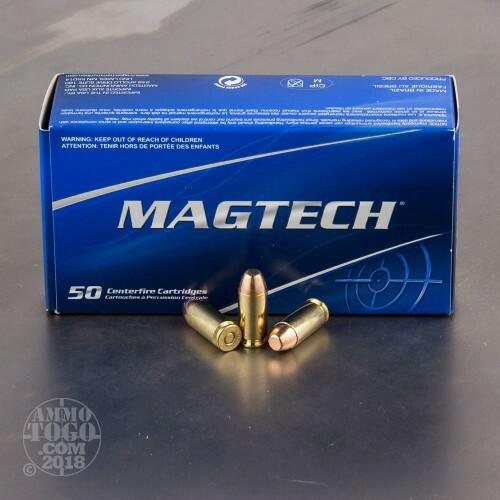 Magtech’s new production brass casings are always uniform in their dimensions, both to assure flawless cycling and to prevent the case failures that this caliber is occasionally known for. 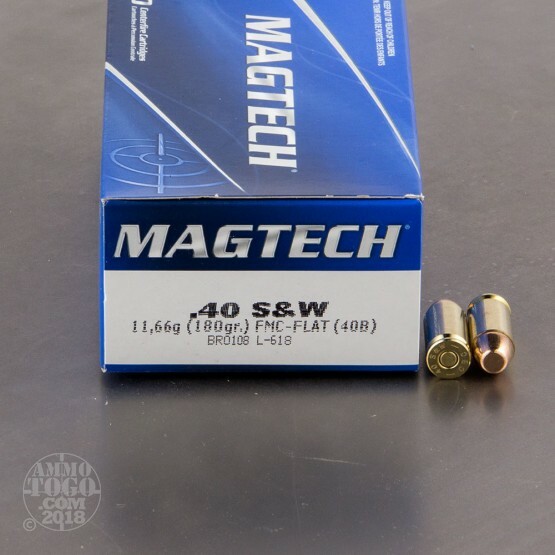 Magtech’s primers are sensitive so that you need never worry about a frustrating dud as well. One more thing....the 180gr ammo packs a bit more punch than the 165gr rounds. I buy both. I like the 180gr. But when my arthritis acts up, then I switch to the 165gr. After firing thousands of rounds, I think I, had a a total of 3 misfires and a couple casings failed to eject completely. But those are rare occurances......I've never had any real problems. And like others here have stated, clean-up is a breeze. I will never switch brands...ever. Never has failed me. Great for practice.